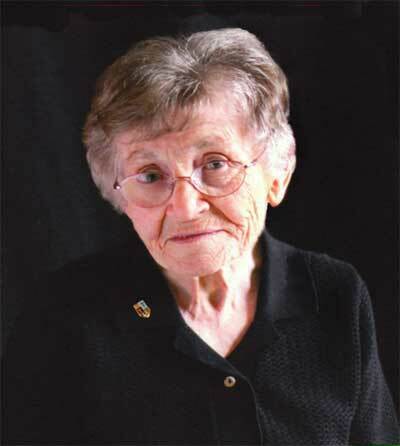 It is with deep sadn ess that we announce the death of Sister Bernadette Sifferlin, OSF. 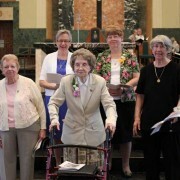 She died peacefully on June 26, surrounded by her Sisters at Our Lady of Angels Retirement Home (OLA) in Joliet, IL. Our prayers and sympathy to her classmates, family and friends. 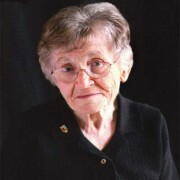 Sister Bernadette’s wake and funeral took place at Our Lady of Angels on July 1, 2016. She was buried on July 2, 2016 at Resurrection Cemetery in Romeoville, Illinois. Sister Bernadette’s prayer service and funeral mass can be viewed on our Livestream channel by clicking the Congregational Shield on our home page. Click here to read more about Sister Bernadette’s life. 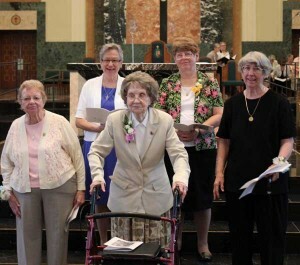 On Saturday, June 11, 2016, five Sisters of St. Francis of May Immaculate (Joliet Franciscan Sisters) celebrated their jubilee at the Cathedral of St. Raymond in Joliet, IL. 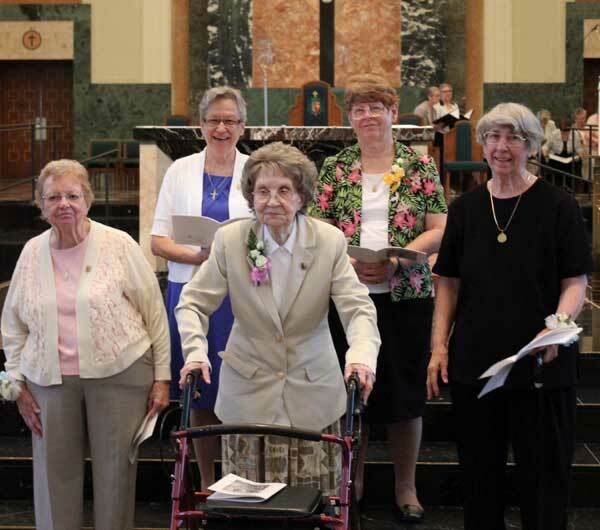 They are Sister Judith Kurry celebrating 80 years; Sisters Mary Jean Morris and Joanne Marusa celebrating 60 years; and Sisters Patricia Skowronski and Margaret Noser celebrating 50 years.